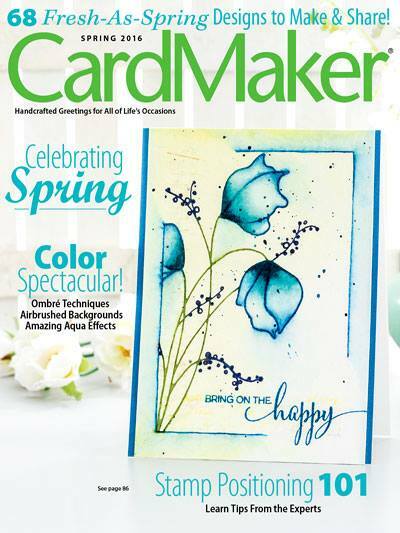 Stamped the large flower three times from the Penny Black To You stamp set. Colored each layer of flowers with Copics. Fussy cut the flowers, then cut between the petals and fluffed them a bit. Distressed the edges of 2 patterned paper squares, and sewed to card. 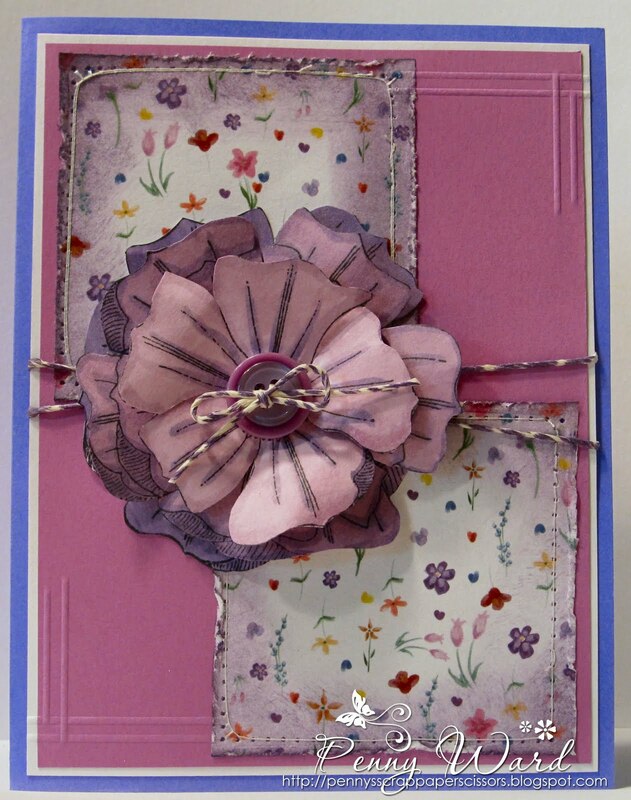 Added some twine and attached all layers of flower with glue, the top layer with dimensional adhesive. Scored two of the edges of the card. Attached all of this to the card base. 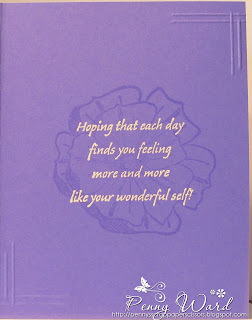 For the inside of the card, I used a Stampin' Up sentiment and embossed with white powder. 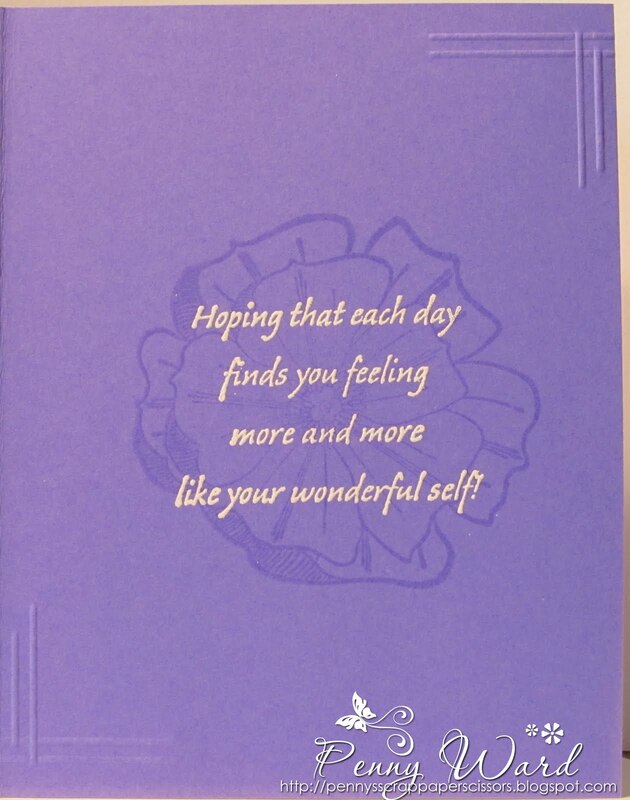 Stamped the same flower over the sentiment with Versamark ink, then scored two edges of the inside of the card. Sehr schön und schöne Farben.Liebe Grüße.